Look at my ridiculously short journey today! My shortest day yet on the Wales Coast Path has a story behind it though. I left Tyddyn Llwyn just outside Porthmadog and walked into town. Thank you once again for my pitch for the night and also the very kind donation. I was meeting ITV Wales News reporter, Rob Shelley in order to film a short item about my journey and why I’m doing it. 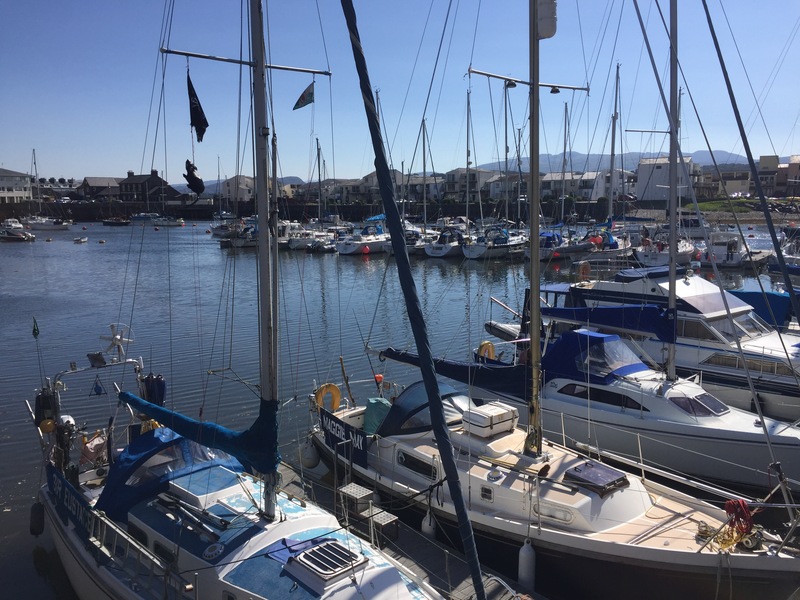 We spent a couple of hours shooting around Porthmadog marina and on the cob. It was the perfect day to be filming and the resulting item appeared on the evening news later on. Hopefully this along with the feature on S4C’s Heno will lead to a little bit of awareness raised.